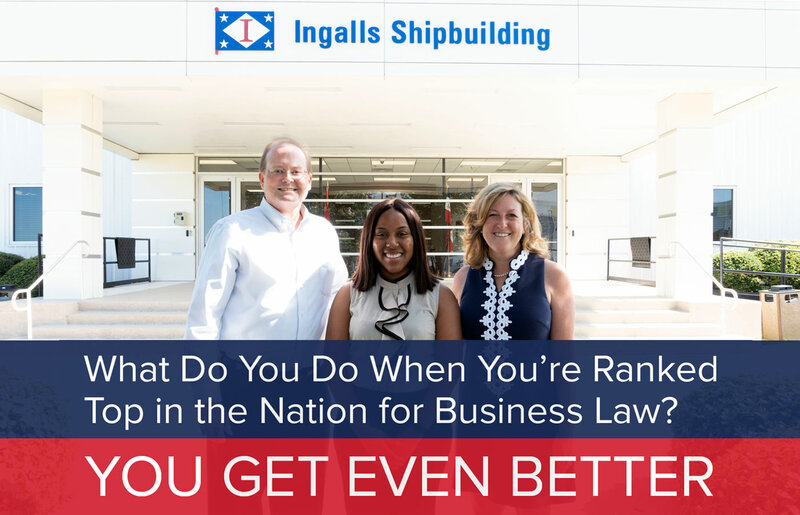 The law school’s Business Law Program is consistently recognized as one of the top business law programs in the country. In 2017, the program was ranked in the top six Business, Banking & Corporate programs nationally, following up on its 2016 ranking in the nation’s top four Business & Corporate programs. The Institute’s generous office and meeting space houses not only the Law School’s top business law experts, but also the organizations that form the backbone of the Law School’s student-run experiential programs in business law. The Negotiation Board, Business Law Network and Tax Clinic offer negotiation competitions, professional outreach, and real-world practice opportunities that develop students’ business law skills through hands-on activities and practice. These groups give students the confidence and experience they need to compete in an increasingly competitive marketplace. The Business Law Certificate, which is awarded by the Law School for completing a core set of business law classes, corroborates a student’s strong commitment to this practice area. No other law school offers the Business Law Institute’s combination of full student-faculty engagement and a wholistic approach to training lawyers. The Institute expects its new educational model to be come the industry standard for training great business lawyers. The new Business Law Fellowship takes our top-ranked business law program to a new level. The law school selects high-achieving first-year students to participate in an exclusive seminar series taught by in-house practitioners and then places them in summer positions with some of America’s leading companies, where Fellows are ideally positioned to learn to solve both legal as well as business problems. In their second year, Fellows take a professional business law writing class specifically designed for the Fellowship. As third years, all Fellows are offered a menu of exclusive, 1-credit experiential classes that have been crafted to fine tune their skills and make them practice-ready for a successful business law career. Participate in interview process with BLI Faculty with input from corporate partners. Employer Led Seminars: In the second 1L term, Fellows will prepare for their summer placements by participating in exclusive, employer-led seminars. Seminar leaders will create fact-based business law problems for students to develop solutions, which will provide the basis of a practice-oriented, problem-solving discussion. Business Law Writing: In their 2L year, Fellows will enroll in a specially designed Professional Business Law Writing class that trains them to identify, analyze and write clearly and concisely about new developments in business law. The writing exercises will take the form of a series of 1,000- to 2,000-word analyses, each of which will be subject to intensive review by senior business law faculty members and expected to be of publishable quality.